with outstanding visual technology and comfort. 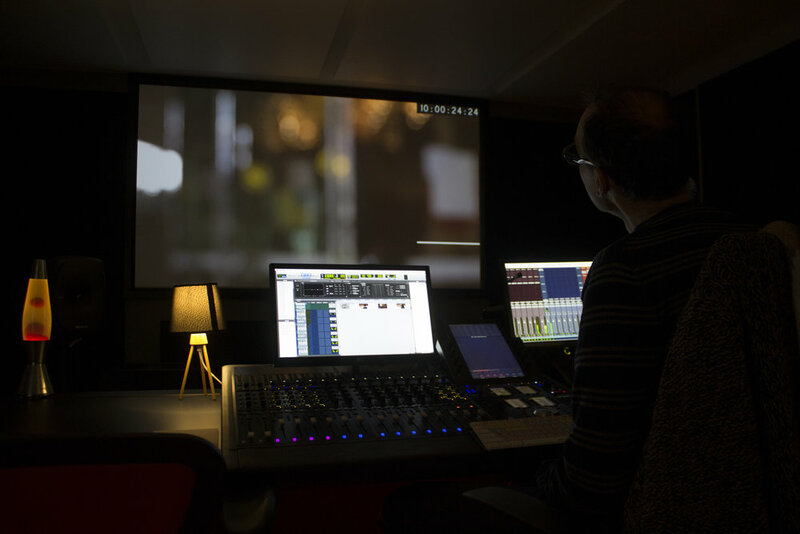 Department of Post has four premiere mix stages equipped with industry-leading technology including Dolby Atmos, Dolby VR Immersive audio and 2K cinema viewing. From mono and stereo sound, to surround and immersive audio, we provide the most efficient workflows and advanced automation from traditional screen to gaming, Dolby Atmos and Ambisonic productions. Audio One and Two are perfect mirrors of each other designed to work independently or seamlessly together as required. Audio Three is part of a dedicated set of convertible suites ideal for a larger team of audio editors and designers. All suites are fitted with Genelec speaker arrays, built on floating floors with full wall and ceiling insulation for perfect isolation. We work seamlessly to facilitate remote sessions to any global location, from our secure facility to yours. Our recording facilities are equipped with gold standard Neumann U87 Ai microphones. These are the ultimate studio sets, known for their smooth and refined sound. The performer wears Audio Technicaʼs ATH M70x monitor headphones. These elements work cohesively to provide a comfortable, professional experience whilst delivering the best quality audio.